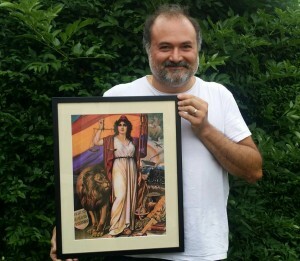 Amparo Arróspide (born in Buenos Aires) is an M.Phil. by the University of Salford. As well as poems, short stories and articles on literature and films in anthologiesand international magazines, she has published five poetry collections:Presencia en el Misterio, Mosaicos bajo la hiedra, Alucinación en dos actos yalgunos poemas, Pañuelos de usar y tirar and En el oído del viento. 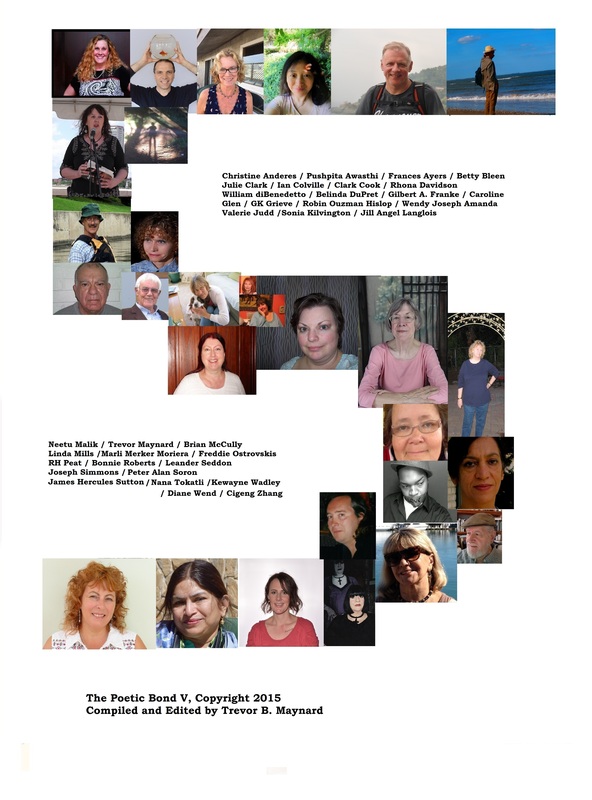 Another two – Jacuzzi and Hormigas en diaspora- are in the course of being published. 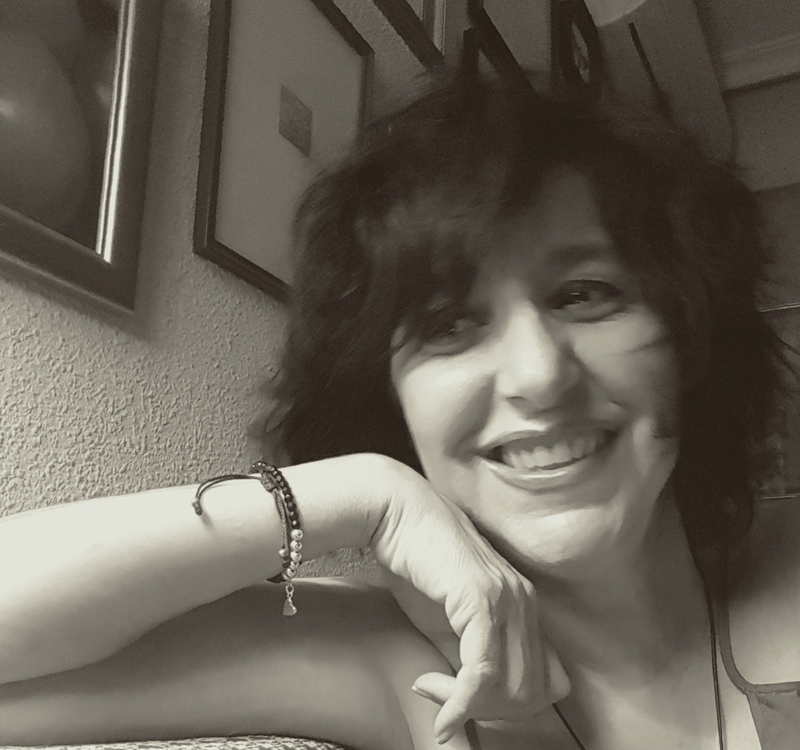 A coeditor of webzine Poetry Life Times, she has translated authors such as Margaret Atwood, Stevie Smith and James Stephens into Spanish, and others such as Guadalupe Grande, Ángel Minaya, José Antonio Pamies, Francisca Aguirre, Javier Díaz Gil and Luis Fores into English. She takes part in poetry festivals, recently Transforming with Poetry (Leeds) and Centro de Poesía José Hierro (Getafe). 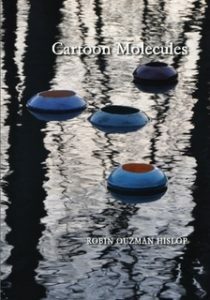 Cartoon Molecules. Robin Ouzman Hislop. Amazon.com is a brave philosophical and poetic exploration of humanity and the universe, advancing theories of time and space and technological utopias as well as questioning the singularity of humankind. Hislop’s insightfulness is exuberant. He combines the analysis of the universe through the appreciation of the ephemeral instant with a variety of poetic forms. For instance, he provides sequences of human (or humanoid?) thought, by intelligently staging verse recurrence, notably in the poem “Human Simulation”, when the intertwining of shared words throughout several stanzas provides the baseline of the animation that the alterations of patterns depict, as in the form of sketches for TV cartoons. He also works with infinity mirror effect. The result of this experimental language is a reflection on the relativity of syntax and an invitation to imagine how advanced forms of computers would realise thought. The cultural references, explicit and implicit, of this book are also worth noting: Kill Bill, the Luddites, Soap operas, Jesus, The Cradle Will Rock, Goya, Alice in Wonderland, Fitterman’s poetry, or Solaris place this book in a constant intertextual conversation full of irony and refinement. With its ontologically congruent, meaningful and exciting modernism, coupled by more light and luminous verse, such as in the poem “Abandoned Island”, which I had the pleasure to translate into Spanish for CRÁTERA (Autumn 2017), alongside “Dream of the machine”, Cartoon molecules undresses humanity to the barebone to show its place in a world that we believe under our control. The Truth about Snails. Collected Poems by JD DeHart. In 2014, over the course of some snow days, I put together a collection that would become The Truth About Snails. At the time, most of the writing I was getting to was speculative and science fictional (I guess that’s a word) in nature. So the first collection of poetry I put together reflected this. Poems were inspired by years as a comic book reader and sci-fi fan. They were not fan fiction, really, but reflected larger themes of science fiction and fantasy that I enjoyed. My hope is that this book can be the first of many. 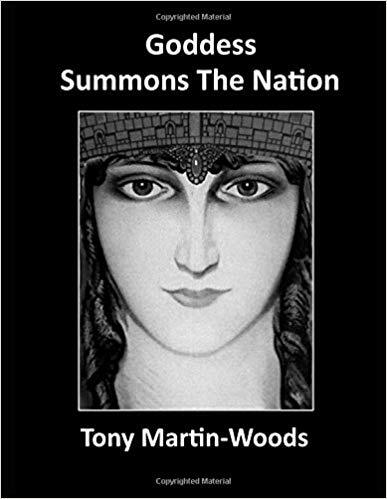 I am already at work on a second collection, which is out for review now, as well as a variety of articles, reviews, and prose works. I reprint some of my favorite poems at jddehartfeaturepoems.blogspot., write reviews and post them at http://dehartreadingandlitresources.blogspot.com/, and tweet @jd_dehart. Whether you check out this chapbook collection, a future book, or just read my work around the web, I appreciate the read! the feeling of this cape rather awkward. 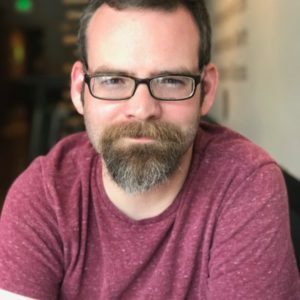 JD DeHart is a writer and teacher. His poems have recently appeared in Dime Show Review and Cacti Fur. 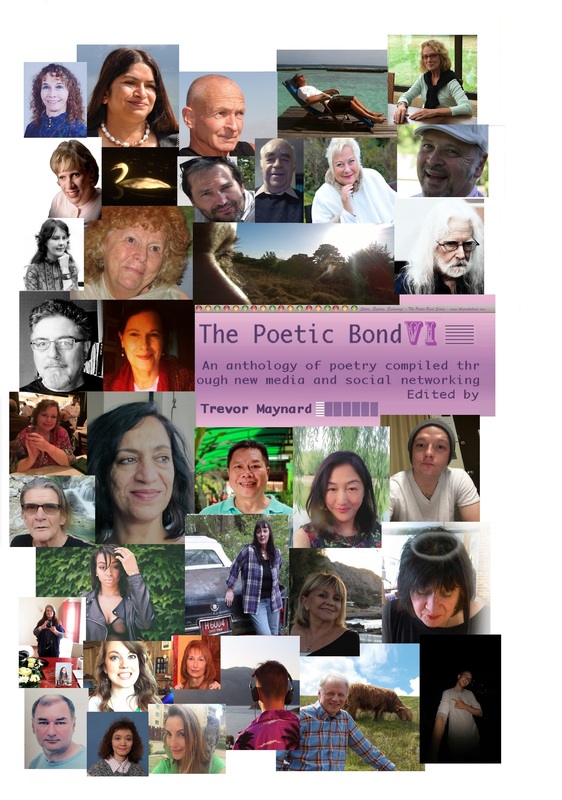 Meet the Poets of Poetic Bond V1. 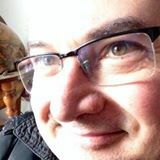 William DiBenedetto is a freelance writer and editor living in and loving Seattle since 1994. Born many years ago in New York City, he grew up in Northern Virginia and worked as a journalist in Washington D.C. He graduated from the University of Virginia with a degree in English. Swaizi Vaughan was born in Gainesville, Texas and has always remained true to her emotions in their rawest form. first book to be released in 2017 entitled, Love’s Lobotomy. 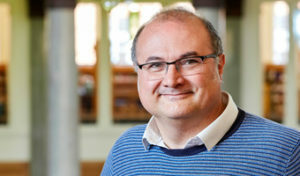 Rowland is a Welsh writer and poet. To care for his brother, he was taken out of school at 14 years old. Ill health forced him to retire from work as a Local Authority Assistant Surveyor in 1997. On line Editor at Poetry Life and Times, Artvilla.com & Motherbird.com. His latest publications are a collection of poems All the Babble of the Souk & Key of Mist a translation from Spanish of the poetess Guadalupe Grande both are published by Aquillrelle.com for further information with reviews and comments see Author Robin . Nana Tokatli , painter and poet, is Greek. Graduate of the Fine Arts School of Athens. Has 17 solo shows. Since 2000 writes poetry in greek and in english, short stories in greek. Publications in english: 2003 “to the counter-point” received 5 stars at AbeBooks, UK. 2015 “the Rondo symphony”. My name is Michael, I’m an 18 year old poet / writer / lyricist from Israel. I started writing when I was around the age of 7, and have always been passionate about expressing myself through words. Forever, I am a teacher of literature. Writing emerges from loving words and music. As a Brazilian with German roots and a long university experience in the US, I value the multicultural mosaic of people, beliefs, and cultures. I dream of peace and freedom for us all. Nearly blind from birth, language fills my life. I flex my words to communicate this world as I experience it. For years I’ve had poetry published in magazines around the world and more recently online. Now retired, I am able to write and to travel with my very supportive husband. I have made a good living as a professional artist for almost fifty years. I’ve seen fire and I’ve seen rain. Kwai Chee Low from Malaysia has a love for the English Language from a young age. He started writing poems since 2010 and submitted them to Poemhunter.com and Allpoetry.com. He finds it very gratifying and fulfilling expressing his thoughts and feelings into poems and haiku. He is also a member on LinkedIn. Jude Neale is a poet, spoken word performer, opera singer and mentor. Her last book, A Quiet Coming of Light, was a finalist for the Pat Lowther Award, best poetry collection by a Canadian female. Joseph Simmons entered college a physics major, graduated an English major, began sharing evening s with other poets. He spent years in federal contracts, now writes, publishes, tries to sharpen and refine his voice and vision. Jill Angel Langlois grew up in Park Forest, IL. Her poems and short stories appear in literary magazines, nationally. Collections: Scattered Petals explores the healing power of nature. Whiskey Nights inspired by whiskey and music. “Tell Me The Story,” a memoir, portrays growing up adopted, reuniting with her birth mother. Hongvan Nguyen is an English and philosophy graduate from George Mason University. She is the author of two collections of poetry, Under the Stone, and The Chickadees. Her third book, Crossing Places, is in the publication process and will be out on the market by the end of 2016. I am an active duty United States Marine, I am 3 classes away from my bachelors in Marketing, currently writing a book that will be dedicated to a deceased friend. Travelled here and there, picked up a few observations, my book “The Final Moment Before The Death of Swans” is to be published in November. Website under construction. Still married. All in all, tickety-boo. intent on pursuing a career in music and sound. Hails from Bucharest, grew up in Jupiter & traveled the globe in US uniform and is now Corporate Analyst in NYC area. My love of writing came to fruition over many years while in military life, seemed like pleasant way to deal with tough times, emotions and life in all its wonder. At 9 years old, my teacher predicted: you’ll be a poet. Since then, encouraged by adverts for poetry, I have written in many published anthologies and I was awarded prizes at a poetry- readings. Thanks to the encouragement of Poetic Bond, here I am back again, enjoying sharing my contributions. Cigeng Zhang is a freelance English translator from China. She started writing English poems in 2012. 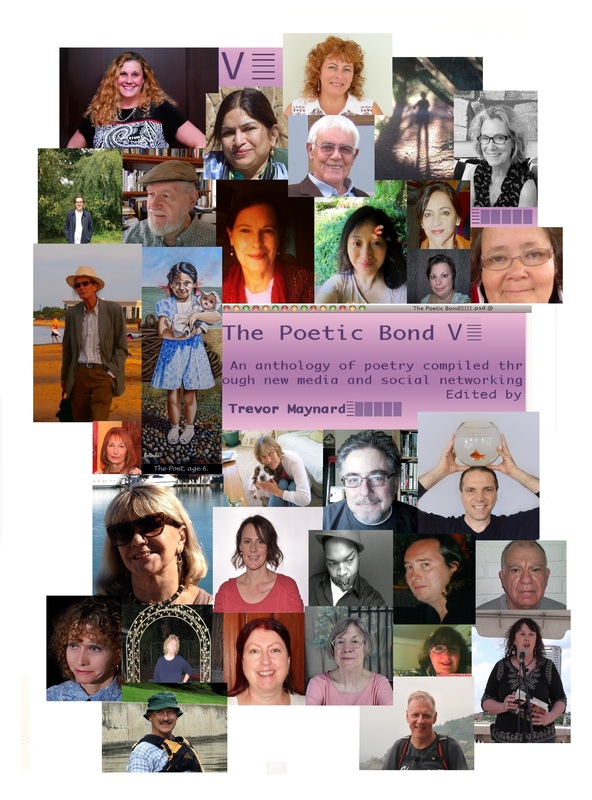 Her poems ‘Drunk Smile’, ‘What Was Left’, ‘The Moon, The Poet’, ‘At 8 O’clock’ and ‘Still for You’ were included in the Poetic Bond III, IV and V respectively since 2013. Christine Anderes …a conservationist and passionate animal advocate is currently working on three collections of poetry and a series of critical essays attesting to the beauty and resilience of nature using lyricism and humor to bring more mindfulness to the critical state of the planet and its inhabitants. Carey Link is from Huntsville, Alabama. She has been writing poetry for over twenty years. Link’s two collections of poetry are What it Means to Climb a Tree (Finishing Line Press) and Awakening to Holes in The Arc of Sun (Mule on a Ferris Wheel). Publisher at Mule on a Ferris Wheel; poet; activist; ocean-swimmer; silent retreatant; dog “herder”; graduate poetry-writing professor; Fulbright Scholar; NEH Fellow; winner, an Alabama Book of the Year Award. Belinda Dupret won her first poetry competition aged 9 – never won another! She’s been a music promoter; freelance writer; Television Journalist and PR Chief, working in 6 different countries including New Zealand, Australia, and the USA. Her life experience means she brings a world of humanity and imagination to her writing. Who did appear over there?